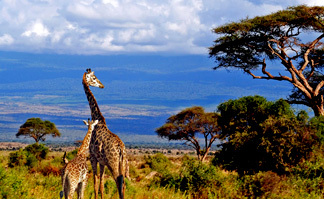 Tanzania is the oasis of nature lovers. The Serengeti plains and Ngorongoro crater are the magnets. Migration sees a massive cross over from Masai Mara into the Serengeti plains. Early morning breakfast and proceed to Arusha for lunch and then to Mt. Kilimanjaro Airport for your flight back home. A well prepared safari vehicle which will be well maintained & comfortable. It will be a 4×4 vehicle fitted with 2 way high frequency radio communicating system. Game drive/Game Viewing/Crater Tour as indicated above. Experienced English speaking driver guide. Any extras that are not mentioned above. Extra cost incurred if change in DATE, reduction in number of Persons or deviation from above itinerary.